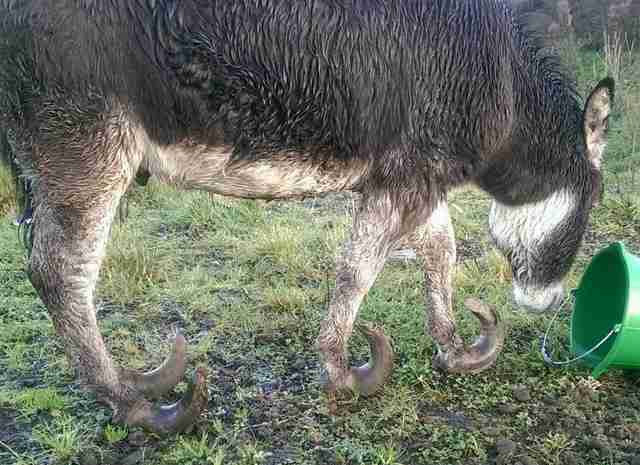 No one knows exactly how long a donkey abandoned in a muddy field in Ireland suffered pain just from standing on his own four feet, but from the look of his twisted and overgrown hooves it must have been many months, if not years. 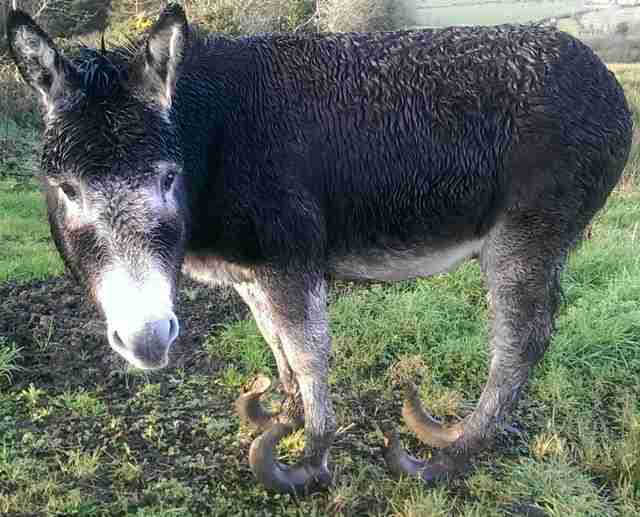 It was just after Christmas last year when Echo's saviors brought him to The Donkey Sanctuary's rescue center Ireland. 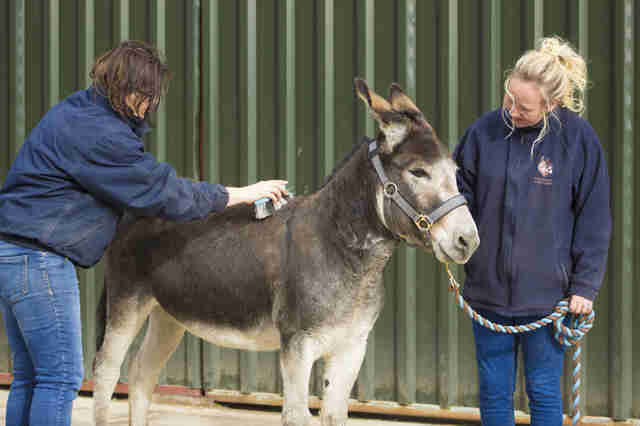 Here, the abandoned donkey was given a full medical exam. Obviously scared, skittish and distrustful of people — even those who were there to help him — Echo would need a long time to recover both physically and emotionally from being left alone. 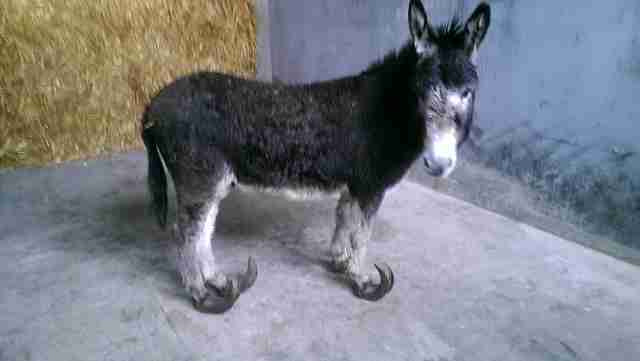 Echo had to have X-rays of his legs so that his rescuers could get a sense of the extent of the damage his long hooves had caused to his body. Sometimes it can be a long time before a neglected animal like Echo can even walk again. A farrier came to trim Echo's hooves — it was probably the first time he had ever had them trimmed. 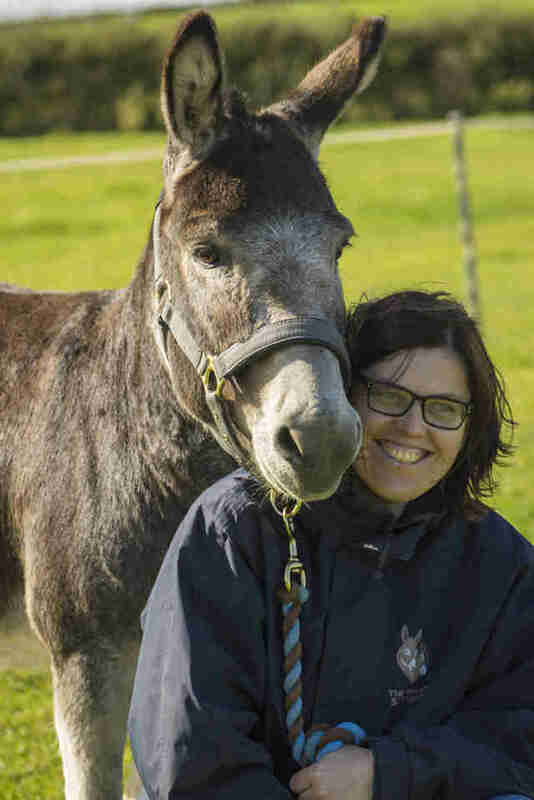 "He could now walk free from pain for the first time," the sanctuary wrote, after Echo's hooves were down to a normal size. After spending a year at the sanctuary, Echo has greatly improved, but as the anniversary of his rescue approaches, his caretakers can still remember with sadness what his life was like last winter. 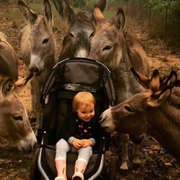 "He was in a shocking state," the sanctuary wrote. "What a sad and lonely Christmas Echo must have endured." Echo's own memories of the distressful time before are probably becoming more and more dim. 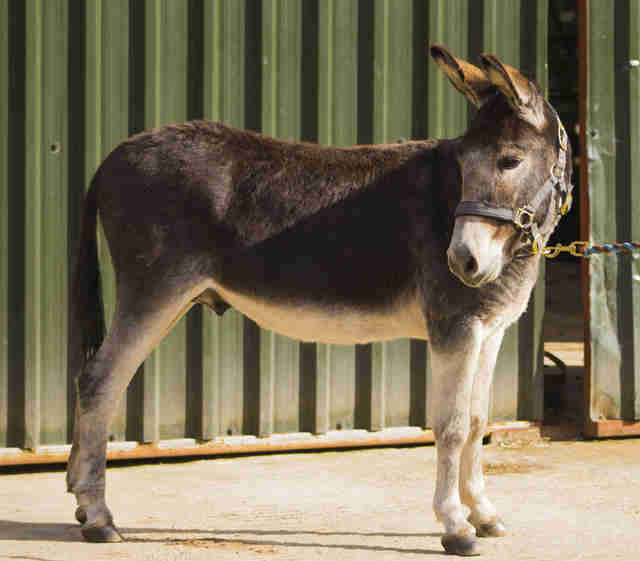 He's enjoyed nearly a year of running and playing in the fields, sleeping on cozy hay and eating nutritious meals. 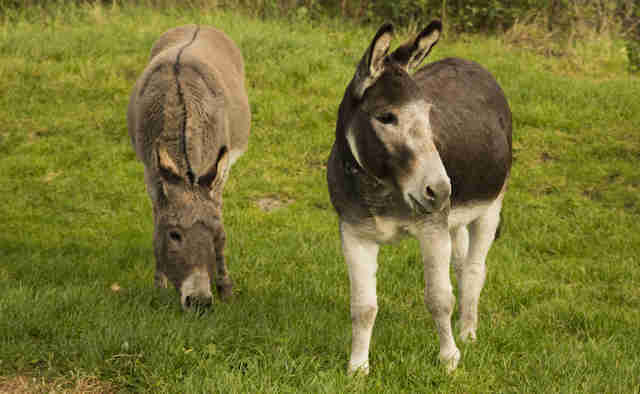 Echo has enjoyed the privilege of meeting other rescued donkeys who have since become his grazing mates. Months of this kind of togetherness have started to finally pay off. 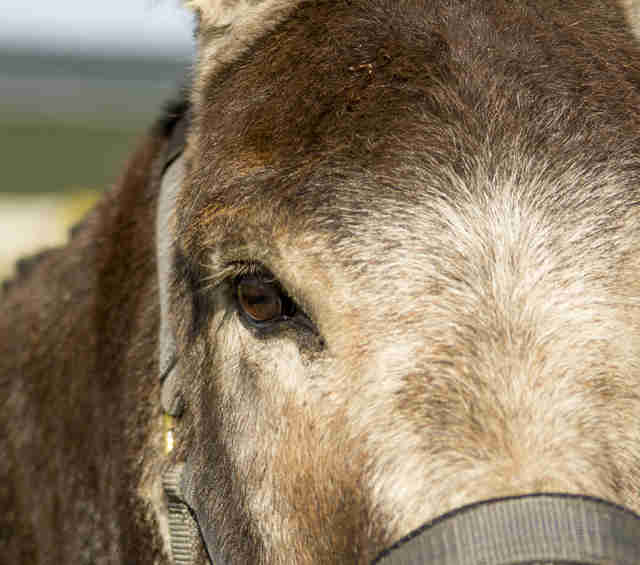 "Echo [received] the patient, loving care he had sadly never enjoyed, and which he so desperately needed to build his emotional confidence," the sanctuary wrote. 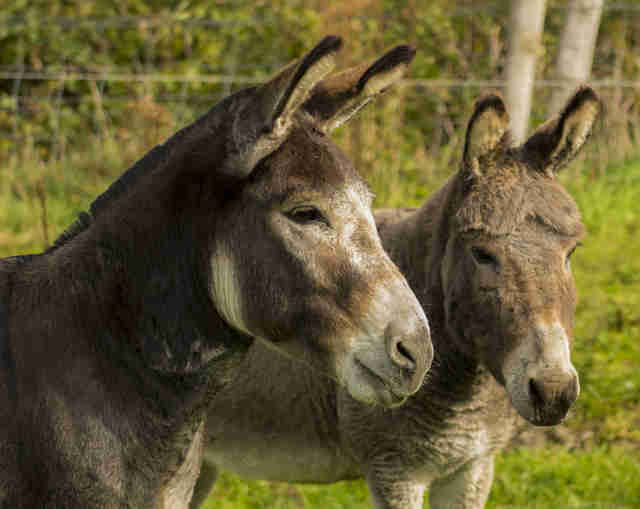 Unfortunately, abandonment is not a rare thing to happen to an animal, especially working and farm animals like donkeys and horses, which is why sanctuaries become so important for these otherwise unwanted animals. 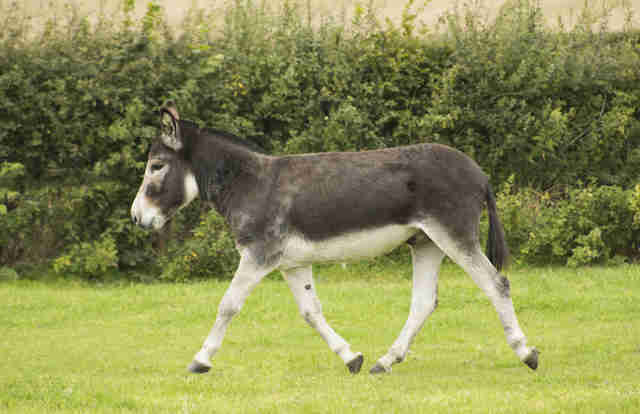 You can congratulate Echo on his happy new life by making a donation to The Donkey Sanctuary.